Sakura Watch, Update for April 15, 2012 - Sakura // Cherry Blossoms are still showing well throughout the park today despite the rain and wind. In fact, if the weather for the next few days holds to light rain and winds, then we could be in for a treat to experience the Sakura into next weekend. However, with the delicate peak bloom already in full swing, it will begin to show its weak side and begin to dissipate later this week. 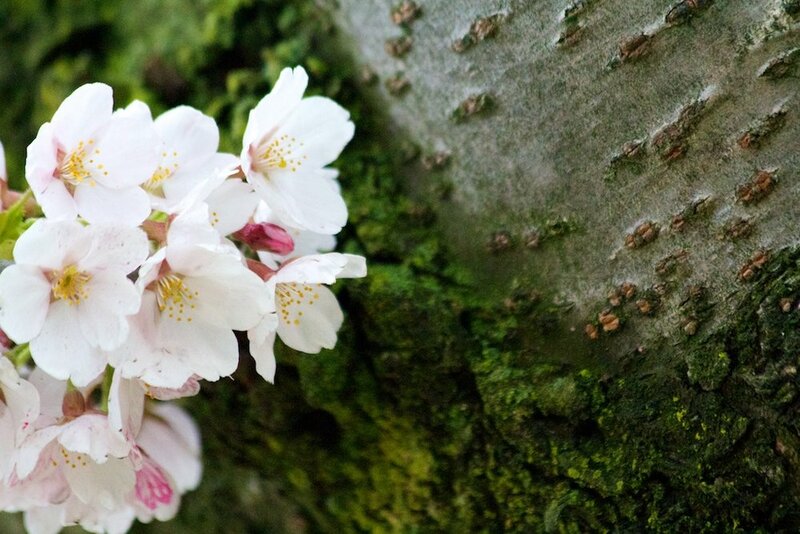 So if you haven't already experienced your own Sakura Hanami, then the next few days would be the time go as chances are there will be less to see by this weekend of the 21-23. As always, I'll keep you updated on the developments throughout the park so check back for the latest Sakura Watch updates or follow the progress on Twitter and Facebook - I'll keep trying to offer you the best glimpse into sharing this beautiful annual event.